Have a favorite Christmas Song you would like to display on the tree? What a fun project to do with the kids. Make great gifts. I love being a bit more crafty at Christmas and it usually has to do with ornaments. I’ve made some with my friends and even hubby. Even though he wasn’t really into decoupage. I will make one for myself and share with a friend or family. This year I made a Christmas Song Ornament and its so super easy to make. The first thing you will need to do is print out your favorite Christmas song. Ours is Oh Holy Night and just do a quick Google search of sheet music. I printed mine on a creamy colored inkjet paper. A thicker paper isn’t a good idea for this project. You can either cut your strips with a paper cutter or scissors. But I must warn you, cutting the strips with scissors will take some time. 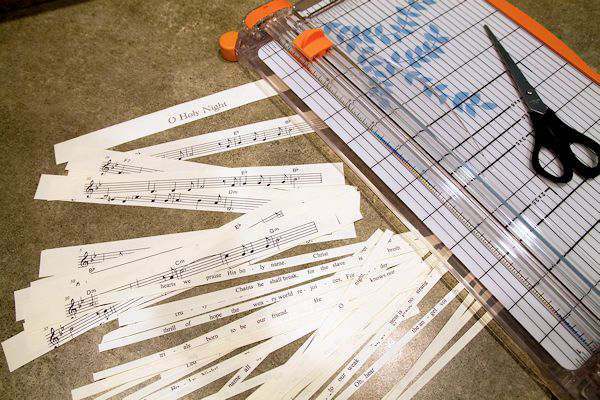 I cut the strips where you could see the music and the words. Next, take the metal top off the glass ornament and start adding the strips one at a time. The longer I did the process, I had to shake it a lot to get the strips to fill in the ornament correctly. I saved the title of the song strip for last. I added a few drops of glitter glue on it and waited for it to dry. I then slowly added it on top of the rest of the strips in the ornament. As you can see in the picture, you can see it very clearly on top of the other strips. I used a pencil to help push in the strips. After it looked the way I wanted it too, I poured in a little bit of glitter for just a bit of sparkle. Replace the top and add ribbon and/or label and you are finished. I put the year on every new ornament I get and this one was no exception. 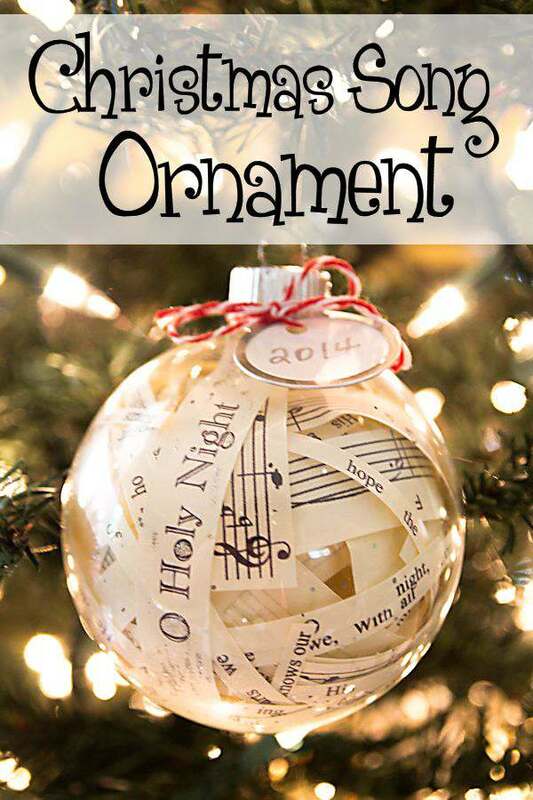 I adore this DIY Christmas Song ornament, and it’s my pick of the week from the Bloggers Brags Weekly Pinterest Party! Please stop by Sparkles of Sunshine tomorrow to see your feature! And I’ve pinned it! Thanks for linking up! I do love these ornaments and will have to try them!